However, given the influence of especially Bernard of Clairvaux (f1153), one detects the prerequisites for a shift in conception and representation. Once the emphasis on the humbled figure of the human, suffering Christ and on the salvific effect of His Passion gained more currency, the presentation of the Last Judgment changed drastically. French cathedrals attest to this alteration with portals that depict the theme between the 12th and 13th centuries, during the transition from the Romanesque and early Gothic to the high Gothic styles.93 There, the human Christ of the Passion, half-naked and graphic changes in an opposite direction demonstrate just how notions of the effects of God's lenience and human intercession were brought to bear over and against the traditional severity of the dies irae, dies illa mentality (cf. above, n. 31). To this extent one can speak of a shift in accent, a change in emphasis, and a tendency to 'center' upon pity and compassion. As regards iconography, reference should be made only to new or increasingly popular images of representation, for example: God's court as the seat of clemency, the pitiable and suffering Christ of the Passion, 'Christ in the Wine Press', the Mount of Olives, the Vera Icon (Veronica's cloth), St. Gregory masses, pietä, the Madonna wearing protective robes, Mary displaying her breast and offering the gift of her milk, images of the rosary, the 'steps to salvation' involving a 'chain of intercession', and God the Father as a merciful judge (cf. the following text). 91 Cf. the concept of the 'scales of justice' on which the sinner would be placed at the time of judgment, which remained as valid as ever (on which see above, n. 85). 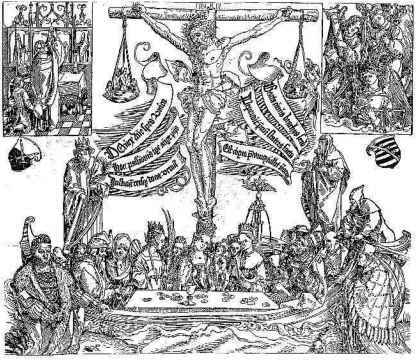 On the other hand, in light of the logic of exoneration prevalent in late medieval theology and piety, it must be kept in mind just how much the 'weighing' of the sinner by the heavenly judge was influenced by the sacrifice of Christ, who served as the sinner's proxy. Similarly, if the church's system of threatened purgatorial punishments approached a type of dreamt up Divine bookkeeping system, then the effects of the grace earned from indulgences and intercession could reduce those punishments to nil. This mix - a fixation upon performance-justice-reward/punishment and upon hope for total exoneration - was characteristic at the close of the Middle Ages (cf. above, n. 31). 92 Cf. Reinhard Schwarz: "Die spätmittelalterliche Vorstellung vom richtenden Christus - ein Ausdruck religiöser Mentalität", in: Geschichte in Wissenschaft und Unterricht 32 (1981), pp. 526-553. 93 Cf. Willibald Sauerländer: Gotische Skulptur in Frankreich 1140-1270, with photographs by Max Hirmer (Munich, 1970), pp. 24-29. The change is clearly evidenced by a direct comparison between the representations of the Last Judgment on the middle west Portal (1145-55) and the middle south Portal (1210-15) of the showing his wounds while angels displayed the instruments of His suffering, superseded the God-Christ who, flanked by His apostles, had sat enthroned in majesty as the heavenly judge.94 Following earlier Byzantine examples, John the Baptist joined Mary as an intercessor at Christ's side in the deesis, replacing John the Evangelist.95 The apostles, on the other hand, were moved frequently to the portal arches, where instead of holding books as they once had, now exhibited the instruments of their martyrdom. Notre-Dame cathedral at Chartres; ibid., p. 25 (plate I) and illustrations nos. 107-113. Cf. also Adolf Reinle: "Der Christus am Strassburger Engelspfeiler. Ein frühes franziskanisches Denkmal", in: Neue Zürcher Zeitung (international ed. ), 11-12 April 1998 (no. 84), p. 53. 94 The change in representations of Christ in images of the Last Judgment was admittedly long underway. Already during the Romanesque art of the 11 th century, the judging Christ could be represented with his wounds. Along with this, from the first half of the 11th century to the beginning of the 13th, one observes a continual expansion and intensification of the passion in the representations: early on Christ appears only with the cross of His Passion, followed in time by the marks of the wounds on His hands and feet, then by the appearance of angels bearing the devices used to inflict His wounds, until finally He loses His imperious robes and sits half-naked, displaying his side-wound. On this development, cf. Beat Brenk: Tradition und Neuerung in der christlichen Kunst des ersten Jahrtausends. Studien zur Geschichte des Weltgerichtsbildes (Vienna, 1966) [= Wiener byzantinische Studien 3], pp. 133-142 and pp. 238-242. 96 Cf. the citations taken from Bernard of Clairvaux, Thomas Aquinas, and Bonaventure in: Angenendt: "Theologie und Liturgie" (as above, n. 85), p. 129f., and idem: Geschichte der Religiosität im Mittelalter (as above, n. 53), p. 136f., including the important sentence from Thomas: Summa theologiae, suppl. q. 90 art. 1 resp. : "Conveniens est, ut ipse Christus secundum humanam naturam, cuius redemptio-nis beneficio ad regnum admittimur, illi iudicio praesideat." Just as in the Late Middle Ages, already in the 13th century one finds the idea that the figure of the Christ of the Passion, along with the display of His wounds, increases the terror among Christ's enemies since the magnitude of His suffering holds up the dimensions of their guilt and the dread of their punishments before their very eyes. 97 Cf. Sauerländer: Gotische Skulptur (as above, n. 93), p. 28: "Hatten die Gerichtsportale des 12. Jahrhunderts den Nachdruck auf die Warnung vor der Verdammnis und vor den Schrecken der Hölle gelegt, so sprechen hier die Hoffnung auf Erlösung durch den Heiland und das Vertrauen in die Fürbitter und in die Apostel, welche im Martyrium den irdischen Tod überwanden." ment of images in the Ghent altar [plate 1] combined an earlier Byzantine and Romanesque style of presentation - the exalted majestas Domini - with a new iconography of the merciful judge based on the Passion and saintly intercession. Especially noteworthy in the Late Middle Ages, both before and after the Ghent altar, is how these tendencies in theology and art could enable a completely new conception of judgment to emerge alongside of the conventional scenario of the iudicium mundi. This corresponded to a principally new yet varied iconography of God's judgment in the 'images of piety' of the 14th, 15th, and early 16th centuries. What separated these images from their traditional counterparts may be seen especially in Holbein's painting [plate 2]: in the proceedings against sinful man, Christ appears not as the judge but as the advocate, usually with his mother, Mary.98 The Christ of the Passion displays to the judging Father the marks of His suffering, especially the side-wound. As one saw with Holbein, Mary can appear to the Father's left on the same horizontal plane as Christ, for with her exposed breast she also appeals directly to God as the advocate of the sinner. A triangle of persons arises that corresponds to the structure of the Last Judgment but, compared to traditional representations, alters the arrangement of the deesis. God the Father replaces the Son as judge; Christ takes the spot formerly held by Mary; and she in turn occupies the place of John the Baptist (or John the Evangelist). Together the two intercessional advocates obtain pardon for mankind from the judge, God. Mercy becomes the sole criteria on which the court's decision is based. 98 On this new type of representation since the early 14th century, cf. the examples of images and texts (with further bibliography) in Dieter Koepplin: "Interzession", in: Lexikon der christlichen Ikonographie, vol. 2 (Freiburg, 1970), cols. 346-352; idem: "Reformation der Glaubensbilder: Das Erlösungswerk Christi auf Bildern des Spätmittelalters und der Reformationszeit", in: Martin Luther und die Reformation in Deutschland, exhibition catalogue Nuremberg, Germanisches Nationalmuseum (Frankfurt a.M., 1983), pp. 333-378; here pp. 334-352 ("Spätmittelalterliche Glaubensbilder"); Christus und Maria. Auslegungen christlicher Gemälde der Spätgotik und Frührenaissance aus der Karlsruher Kunsthalle, exhibition catalogue (Karlsruhe, 1992), pp. 49-59; Marti and Mondini: "'Ich manen dich der brüsten mein" (as above, n. 78), pp. 79-90 and 198-201 (nos. 21-23), p. 282f. (no. 91); Schreiner: Maria (as above, n. 35), pp. 183-188; cf. also above, n. 76 (painting by Sebastian Dayg). 99 Koepplin ("Interzession", as above, n. 98, col. 347) employs the term "combined intercession" (kombinierte Interzession)) for the various types of compositions that display God the Father with the intercessional pleadings of Christ and Mary. Here I distinguish between two types of intercession, depending on whether the breast-displaying Mary, just like the wound-displaying Christ, appeals directly to God (Type I) or whether she displays her breast and makes her plea through Christ (Type II). In the exhibition catalogue Himmel, Hölle, Fegefeuer (as above, n. 75), there are two examples from the first half of the 14th century: p. 81, plate 49 (glass window from the Freiburg cathedral) and p. 199, cat. no. 22 (initiale of a choir psalter ms.). These early representations of the combined intercession of Jesus and Mary cannot be decisively placed in either category, although to me Type II seems the more likely choice. There are good reasons to argue that Type II forms of representation began to be applied earlier than those of Type I; foremost among them is the fact that this graduated sequence had found literary representation already in the 12 th century, in the form of a 'chain of intercession' (the sinner turns to Mary, who turns to Christ, who then appeals to God the Father), through the highly influential work De laudibus Beatae Mariae Virginis by Arnold of Chartres, abbot of Bonneval and friend of Bernard. Under Bernard's name this work had a wide reception (see Migne PL 189, col. 1726). At the beginning of the graphic assimilation of Bernard's thought stood representations of Mary/Christ and Christ/God the Father in two different scenes, a split made patently obvious for the first time in a devotional book of text and images, Speculum humanae salvationis (written before 1324), which was distributed widely throughout Europe and proved groundbreaking for the development of an iconography of 'particular' judgment; cf., for example, Himmel, Hölle, Fegefeuer (as above, n. 75) p. 80 plate 48 (taken from an ms. of the Speculum humanae salvationis around 1330). If the intercessors (with or without a sinful, pleading human) are combined in an image, then those arranged in order beneath God (Type II) can either be lined up along the same plane or graduated in the form of actual 'stairs of salvation'. This provided graphic representation of the juridically based theological concept in which the road to clemency was graduated along progressive instances of authority. For the occasional appearance of the third figure of intercession, John the Apostle/Evangelist (in the graduated order: the dying human crying from his deathbed for rescue - John - Mary - Christ - God the Father), cf. the exhibition catalogue Martin Luther und die Reformation in Deutschland (as above, n. 98), p. 337f. (no. 447); Ludwigs Lust. Die Sammlung Irene und Peter Ludwig, exhibition catalogue, Germanisches Nationalmuseum Nuremberg (Nuremberg, 1993), p. 110 (text) and 112 (image), no. 86: "Ars bene moriendi". 100 "Abnuere o tibi nate nihil matrique valemus." Woodcut "Von der gnadenrichen Furbitt vor got dem Vater fur die armen sunder" (see above, n. 27); reproduction with commentary in the exhibition catalogue Himmel, Hölle, Fegefeuer (as above, n. 75), p. 200f. (no. 23); cf. 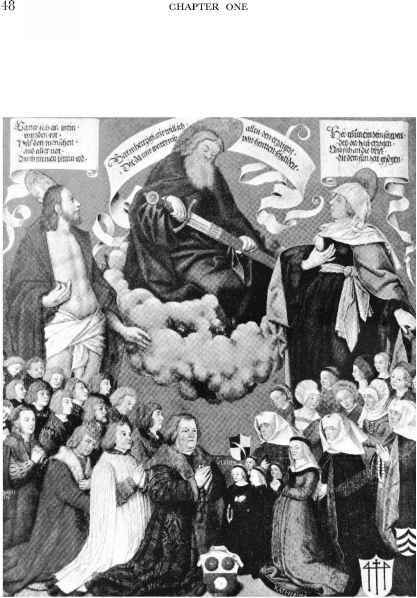 another image of the 'stairs of salvation' in Martin Luther und die Reformation in Deutschland (as above, n. 98) p. 336f. (no. 446) with the scroll of text coming from the mouth of God the Father: "Queque petita dabo, fili, tibi; nulla negabo." On the 'inability' of God, who cannot refuse the intercessional pleading of Christ and Mary (which gives the sinner a high degree of assurance in his expectations and certainty in his hope), cf. Arnold of Bonneval's (as above, n. 99) formulation: "Christus nudato latere patri ostendit latus et vulnera, Maria Christo pectus et ubera, nec potest ullo modo esse repulsa, ubi con-currunt et orant omni lingua disertius haec clementiae monumenta et charitatis insignia." To the freely chosen, merciful, self-imposed obligation of God in which this 'inability' is grounded, cf. Berndt Hamm: Promissio, pactum, ordinatio. Freiheit und Selbstbindung Gottes in der scholastischen Gnadenlehre (Tübingen, 1977) [= Beiträge zur historischen Theologie 54]. 101 Cf. the examples in the exhibition catalogue Himmel, Hölle, Fegefeuer (as above, n. 75), p. 84, illus. 53; and in Schreiner: Maria (as above, n. 35), pp. 183 and 185; there is an example of a plague-altar (by Martin Schaffer, between 1513-15) with a 'chain of intercession' linking St. Sebastian and St. Rochus to Mary, who in turn stands in front of Christ, who faces God the Father, in Kurt Löcher: Germanisches Nationalmuseum Nürnberg: Die Gemälde des 16. Jahrhunderts (Stuttgart, 1997), pp. 443-446. 102 Even in the woodcut "Von der gnadenrichen Furbitt" (as above, n. 27 and n. 100), which includes God the Father not only wielding the sword of His wrath but also holding the arrows of earthly plagues, the textual passages refer (among other things) to the situation of the sinner at the end of his life. On 'individual' or 'particular' judgment, cf. above n. 75. These images of Divine judgment thus icono-logically connect the idea of combined intercession before God the Father, a concept that arose in the 12th century and was especially propagated in Cistercian circles (cf. above, n. 99), with the scholastic theory of 'particular' judgment that spread widely in the 13th century. appear images of a merciful judge in a clement courtroom.103 In short, they presented concepts similar to the van Eycks' portrayal [plate 1] of the merciful judge and Suess's image [plate 3] of the benevolent judgment. The van Eycks and Suess did so, however, in a completely different way that, if iconographically unusual, was typical of contemporary theological developments. 103 Gerson, in his influential Appellatio peccatoris ad divinam misericordiam, speaks of the "tribunal clementiae, bonitatis et misericordiae" or simply of the "tribunal mise-ricordiae" in which mercy overpowers requitive justice and its sentence (quoted from the ed. cited above, n. 27, p. 538f.) The influence of this text may be seen in the woodcut mentioned above (n. 102). 104 This is the Christ of the Last Judgment (and for that matter, only His severe side, without any mention of the merciful aspects found in contemporary images of the judgment) that Luther had in mind when, in retrospect, he wrote in 1533: "Denn ich kandte Christum nicht mehr denn [= anders] als einen gestrengen richter, fur dem ich fliehen wolt und doch nicht entfliehen kundte." WA 38,148,11f. Cf., for example, his statement from 1537 as well: "Also machen sie [i.e., die Papisten] aus Christo nichts denn einen strengen, zornigen Richter, fur dem man sich furchten musse, als der uns wolle inn die helle stossen, wie man in gemalet hat auff dem Regenbogen zu gericht sitzend und seine Mutter Maria und Johannes den Teuffer zu beiden seiten als furbitter gegen seinem schrecklichen zorn. Das heisst ja Christum fein, rein weggenomen und nicht allein ungekennet, sondern schlecht [= schlichtweg, einfach] gar zugedeckt, begraben und verschorren, das ich nicht mehr also in sehe, das er fur mich geboren, gelidden, gestorben und aufferstanden sey (wie die kinder im Glawben [= Glaubensbekenntnis] sprechen), sondern allein also, das er mich richten wolle nach meinem leben und wercken, ob ich fur die sunde bezalet und gnug gethan habe oder nicht." WA 46,8,32-9,4. For further statements of this kind by Luther cf. Otto Scheel (ed. ): Dokumente zu Luthers Entwickdung, 2nd ed. (Tübingen, 1929), nos. 182, 194, 312, 346, 381, 383. Such comments by Luther say a great deal about the mentality of Angst among the faithful around 1500, and about Luther's own sense of being in a state of spiritual crisis: he was tempted to flee Christ. Such comments say precious little, however, about the character of the many witnesses documentable from the late medieval 'theology of piety' and its associated images. Indeed, were one to evaluate matters on the basis of Luther's understanding, he would never come upon the idea that the large majority of these witnesses did not hold up the Christ of the Last Judgment before the faithful's eyes, but rather the compassionate Christ of the Passion - that Christ (even when appearing at one's 'particular' or 'individual' judgment) who stood in for mankind through His suffering, who presided over a clement courtroom, and who interceded for the poor sinner. In Luther's retrospective presentation, the late medieval figure of compassion - the Christus pro nobis - disappears completely behind the looming shadow of the pitiless Christus iudex. Perhaps this is to be explained on the basis of the intense pressures inherent to the necessary conditions for salvation that, on his part, man must fulfill conditions which continued to be demanded and remained continually present in ever, where God's courtroom came to be portrayed as bathed in the light of compassion and presided over by a fatherly judge swayed by the benevolent Christ who, along with tota du/cis Maria, served as the sinner's advocate. There, the side of damnation fell completely away despite the fact that, in the theological conception of 'individual' judgment, salvation and damnation always stood face-to-face. late medieval theology and devotional practices (see further below). This pressure to meet such conditions aroused bitter feelings in the young monk Luther, from which he lost sight of the 'sweet' Christ of the Passion and fixed his gaze steadily on that day in which that other Christ would sit before him and demand an account and explanation as to why His Passion had not changed Luther into a God-loving man. For that reason, his spiritual guide and pastor Staupitz, pointing to the wounds of Christ, could not help Luther either. 105 Cf. Johannes Bolte (ed. ): Drei Schauspiele vom sterbenden Menschen (Leipzig, 1927) [= Bibliothek des Literarischen Vereins in Stuttgart 269-70], pp. V-VIII, 5-9 (vv. 103-244); on which cf. Theo Meier: Die Gestalt Mariens im geistlichen Schauspiel des deutschen Mittelalters (Berlin, 1959) [= Philologische Studien und Quellen 4], p. 131f. Cf., on the other hand, the very different situation, also found in the spiritual drama of the 15th century, in which the Last Judgment is portrayed and Mary, despite her intercession, is unable to change the mind of the judging Christ; examples of such dramas may be found in Schreiner: Maria (as above, n. 35), pp. 207-209. That Mary (together with Christ) appears before the judge, God the Father, and succeeds in her intercession and yet cannot further influence the judging Christ, conforms to the theological logic of the relation between 'individual' and 'universal' (i.e. final) judgment. The final decision over the otherwordly fate of a person occurred already at the moment of 'individual' judgment, such that at the Last Judgment the sentence may not be changed whatsoever (cf. above, n. 75). What the intercessory pleas of Mary and John during scenes of the Last Judgment emphasize, therefore, is the enduring compassion applied to those who are saved. that concerned itself with the care of souls and preaching.106 The creators of innumerable images of the Passion, of Mary, and of the saints set their sights above all else on mercy and comfort, on the promise of help for contrite sinners, on the articulation of the flock's plea for compassion.107 The Passion of Christ gained an increasingly significant place in theology, piety, liturgy, poetry, and the visual arts from the 11th and 12 th centuries through the end of the 15th. Because the elements of the Passion became normative focal points of religiosity near the end of the Middle Ages, they were subject to undergo an even more discriminating sequence of consolidation, reduction, and compression - a 'centering within centering', so to speak. Thus the faithful's view could be re-directed especially toward the side wound and the heart of Christ108 to the point where, in some images, the entire representation of the Passion-narrative and of Christ's body was reduced to a wounded, bleeding heart.109 Here was contained, like a consecrated host exhibited for the viewing of the devout,110 the most conspicuous concentration of the salvific powers of the Passion, where Christ willingly substituted Himself for sinful mankind. 106 It remains a task of future scholarship to evaluate how large this group was, and to establish whether or not perhaps even the predominating tone of the 'theology of piety' around 1500 was defined by this intention and through this type of 'centering' (this despite the comments in the first part of n. 90 above). 107 Cf. above, n. 90. On the quantitative dimensions cf. Hamm: "Von der spätmittelalterlichen reformatio" (as above, n. 1), p. 25f., n. 51. 108 Examples in the exhibition catalogue Glaube Hoffnung Liebe Tod (as above, n. 81), passim; cf., for example, Henk van Os: The Art of Devotion in the Late Middle Ages in Europe 1300-1500, exhibition catalogue, Rijksmuseum (Amsterdam, 1994), p. 116f. and plate 36 (an isolated heart of Christ in the center of the cross). 109 Examples in the exhibition catalogue Glaube Hoffnung Liebe Tod (as above, n. 81), pp. 140-155, with excellent analysis by Thomas Lentes, pp. 144-147 ("Die Vermessung des Christus-Körpers") and pp. 152-155 ("Nur der geöffnete Körper schafft Heil. Das Bild als Verdoppelung des Körpers"). 110 On the cult of the host during the Late Middle Ages (and related delusions regarding Jewish host desecration), cf. Angenendt: Geschichte der Religiosität im Mittelalter (as above, n. 53), pp. 503-508 (with further bibliography). The increase in passional devotion since the 11th and 12th centuries (i.e., since the era of the crusades) betrays close connections with a new dimension of anti-Judaism and Jewish pogroms: the Jews were simultaneously persecuted as the initiators and as the enemies of Christ's Passion and charged with ritual murder and host desecration; cf. Michael Toch: Die Juden im mittelalterlichen Reich (Munich, 1998) [= Enzyklopädie deutscher Geschichte 44], pp. 111-120 (with further bibliography). factors had increased the amount of cumulative needs for assurance and of necessary meritorious works. Relief from these burdens was offered whenever devotional artists in some way emphasized purity and suffering, sacrifice and atonement, or agency and intercession. Their representations of Christ, Mary, and the saints pointed again and again to the immeasurable treasures of God's grace: such riches could help the spiritual weakness of even the worst sinner, if he would only allow himself to be helped. To be sure, presentations of atonement, intercession, compassion, and protection always aimed toward the heart's contrition and the sinner's performance of satisfactory or meritorious works; they sought to change his life to one of increasing obedience to God's commandments and counsels. Over against God, what the sinner might actually accomplish may have been recognized as minimal. But an appeal to the satisfaction of those requirements, without which no one could be saved, always accompanied the offer of deliverance from hell and purgatory. Through their devotions, sinners were to appropriate the Passion affectively and operatively, in their hearts and in their actions. On the highway to salvation, God's mercy always made up only one lane. The other consisted of true repentance, a certain quality and morality on the sinner's part that satisfied the requirements of heavenly justice.111 God's mercy remits and protects, but it still must strike a compromising balance with God's righteousness. Thus the type of sermon that celebrated God's comforting mercy went hand-in-hand with one that warned of His terrifying judgment and called for repen-tance.112 For many preachers, in fact, it was common to proclaim both central messages - dread and solace - in the same sermon. 111 Cf. 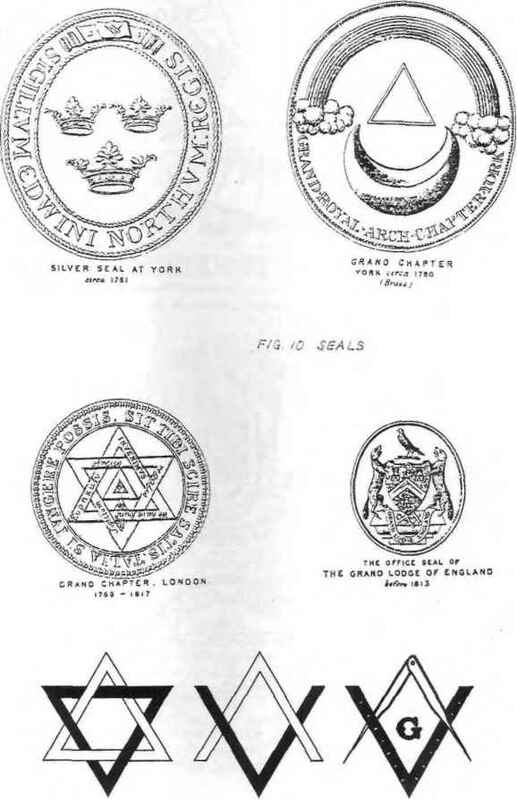 above, p. 28 with n. 77 and p. 11 with n. 31. 112 Compare, for example, Staupitz's sermon on mercy (Barmherzigkeitspredigt) in Nuremberg 1516/17 with Savonarola's terrifica praedicatio in Florence during the 1490s. On Staupitz, cf. Hamm: "Humanistische Ethik" (as above, n. 42), pp. 133-143; on Savonarola cf. Pierre Antonetti: Savonarola: Ketzer oder Prophet? Eine Biographie [French ed. 1991] (Zurich, 1992), esp. pp. 71-73 ("Die terrifica praedicatio"). 113 Cf. above, pp. 11-13; for displacement and shifts in accent cf. above, p. 32f. von Paltz (|1511),114 for example, extolled the indulgences for the papal jubilee not in traditional terms, but as special allocations of God's grace that far excelled all previously known aids for obtaining it. Now, exclaimed Paltz, even "the worst of sinners" could obtain "the most effective help" since an unparalleled influx of grace (sin-gu/aris influentia) was flooding from heaven into the church.115 Admittedly, a critic like Staupitz (also an Augustinian hermit) could emphasize that indulgences were wholly unnecessary, because God lavishes the effects of the Passion, nothing less than the total annulment of guilt and punishment, upon any contrite sinner.116 Two preachers within the same order, who shared the same tradition, could also share intentions and an emphasis on mercy while articulating them in two very different ways. We risk a tremendous misunderstanding, however, should we suppose that an emphasis on divine compassion and man's resulting hope in some way contradicted the perceived need among early-modern elites, and many of their 'simpler' contemporaries, for increased discipline, order, and regulation within society. The case is exactly the opposite. According to the representatives of the 'theology of piety' around 1500, spiritual and social life had its basis in faith, hope, and love. Precisely this basis led them straight from an emphasis on protective guarantees of grace and salvation to an insistence on a life lived in spiritual discipline, seriousness of purpose, sanctity, with n. 90. In this context it is most telling, how preachers around 1500 could warn against praising the mercy of God too strongly. That is what the Strasbourg cathedral preacher, Johannes Geiler von Kaysersberg, meant when near the end of the 15th century he asserted that, given the current state of the world, it was very dangerous to preach on the mercy of God since for every one person troubled by religious doubts, there would spring up "hundert, ja tausend und zehnmal hunderttausend anmaßende Menschen"; cited by E. J. Dempsey Douglass: Justification in Late Medieval Preaching. A Study of John Geiler of Keisersberg (Leiden, 1966) [= Studies in Medieval and Reformation Thought 1], p. 174 with n. 4. On the phenomenon of "easy grace," about which Geiler warned, cf. the jubilee preaching from 1500 discussed below. 114 On Paltz, cf. above, n. 55; on the support of Paltz by Elector Frederick the Wise and his brother Johann (see below) cf. Hamm: Frömmigkeitstheologie (as above, n. 9), Index of Names. 115 This material is further summarized, analyzed, and documented in ibid., pp. 289-291. 116 See ibid., p. 240 with n. 127; on Staupitz's connections to Frederick the Wise and to the Nuremberg city council (see below) cf. Theodor Kolde: Die deutsche Augustiner-Congregation und Johann von Staupitz. Ein Beitrag zur Ordens- und Reformatimsgeschichte (Gotha, 1879), pp. 209-328.
and fulfillment of the law. The prospects for shaping a Christian society and for maintaining social stability, they asserted, were far better served by grace and trust than by the strategy of dread and Angst. It was thus perfectly consistent that not only Paltz but also Staupitz enjoyed enormous support from the Saxon Elector Frederick the Wise and his brother Johann, from the city council at Nuremberg and other governments. Here 'normative centering' occurred quite typically, both in a polar concentration on God's mercy and Christ's law and in the interplay between religious and political 'centering'. 117 On Staupitz cf. above, p. 12 with n. 32. On the theological ties between Staupitz and Luther, cf. Heiko A. Oberman: Masters of the Reformation. The Emergence of a New Intellectual Climate in Europe [rev. and abridg. trans. of 1st German ed., 1977], trans. Dennis Martin (Cambridge, 1981), pp. 75-91; David C. Steinmetz: Luther and Staupitz. An Essay in the Intellectual Origins of the Protestant Reformation (Durham, North Carolina, 1980) [= Duke Monographs in Medieval and Renaissance Studies 4]; Lothar Graf zu Dohna: "Staupitz und Luther: Kontinuität und Umbruch in den Anfängen der Reformation", in: Pastoraltheologie 74 (1985), pp. 452-465; Richard Wetzel: "Staupitz und Luther. Annäherung an eine Vorläufer-Figur", Blätter für pfälzjsche Kirchengeschichte 58 (1991), pp. 369-395 [= Ebernburg-Hefte 25 (1991), pp. 41-67]. 118 See above, p. 31 with n. 87: "O crux ave spes unica!" 119 On calling out to Mary in prayer with the words "Tu es unica spes nostra" and "O dulcissima mater nostra Maria, unica spes et refugium animae nostrae", cf. Dempsey Douglass: Justification in Late Medieval Preaching (as above, n. 113), p. 195. 120 Jan Gossaert, diptych of the Chancellor of Besançon, Jean Carondelet, 1517; Paris, Musée National du Louvre; reproduction in Max J. Friedländer: Die frühen niederländischen Maler von van Eyck bis Bruegel (Cologne, 1956), plates 219/220. That the prayers of the patron, Carondelet, were intended primarily for the situation of his death, is also evidenced by the back side of the panel containing Mary: above a skull a scroll of text reads "Corde contemnit omnia, qui se semper cogitat mori-turum. hieronimus." In their two-sidedness, the diptyches of the century preceding the Reformation are, on the one hand, evidence of individualization in that they allow the praying countenance of an individual patron to come to the fore; on the other, however, they provide evidence for religious 'centering' in that they make either the pitiable, wretched Christ of the Passion or Mary holding the Christ-child the privileged addressee; in so doing, they appeal to the pro me aspect of divine compassion. Cf., for example, the diptyches in Mary's honor executed for patrons in van Os: The Art of Devotion (as above, n. 108), p. 116f., plate 36: diptych for Willem van Bibaut (anon. 1523); also Dirk de Vos: Hans Memling. Das Gesamtwerk (Stuttgart, 1994), pp. 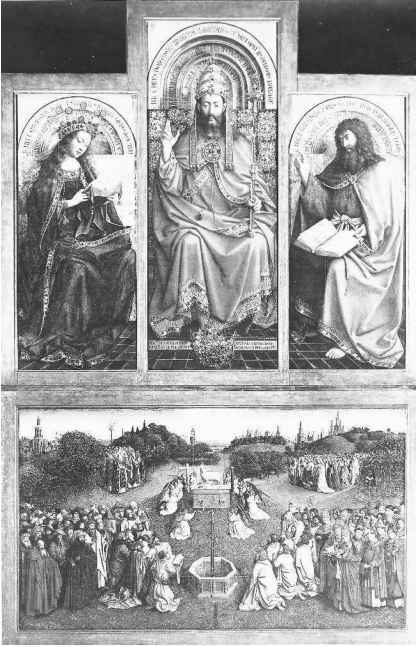 278-283: diptych of Martin von Nieuwenhove (Memling, 1487). A diptych executed for a patron featuring the pitiable, wretched Christ may be seen in the exhibition catalogue, Martin Luther und die deutsche Reformation (as above, n. 98), p. 343f. (no. 458): diptych executed for Count Georg von Löwenstein (by Hans Pleydenwurff, around 1456). Cf. ibid., p. 368 (no. 490) on how far this pro me aspect of the gift of salvation could go in the Late Middle Ages: there, an image of a praying cleric before the cross (anon. 1519) is accompanied by the text: "O iesu sis mihi iesus" (cf. Matth. 1.21)! sented complementary exclusivity; it always contained a sort of plural elongation, a wide spectrum of distinct focal points that corresponded to Catholic 'gradualism', to man's ascent to God, and to the graduation between man and God.122 The centrifugal thrust of the Reformation, in which 'centering' further reduced those principles to a concentration on the singular and one-sided efficacy of God's role in man's salvation, broke with this plural and gradualist system. 122 Cf. Hamm: "Reformation als normative Zentrierung" (as above, n. 1), p. 252f. On the phrase "complementary exclusivity" (komplementäre Alleinigkeit) cf. above p. 21.
modern Europe have devoted much of their efforts to the categories of 'social discipline' and of governmentally regimented 'Policey'. Such categories, it must be remembered, formed only one side of 'normative centering'. Put more precisely: they formed one aspect of one side, i.e., the social-political aspect of the side that tended toward a regularizing, insistent stringency. As an interpretive category and term of research, with 'normative centering' we have not hit on a major vista that takes us high and wide through the 16th century. Instead it offers nothing more — and nothing less - than a possible path through the dense undergrowth of the past. Other historians will find neither 'centering' nor a normative reduction of diversity. And rightly so, since the age may also be characterized as one of increasing differentiation, complexity, and individualization at all reaches of life.123 Especially during the 16th century, rife with opposition among and between the various Protestant camps and Catholicism, it was in fact 'normative centering' that, through its simplifying and demarcating dynamic, contributed to the intensification of tendencies toward particularization in the rivalry ridden competition between notions of the 'best' (and thus only) way of life, efforts toward reform, religious confessions, and confessional states. 123 On the association between 'normative centering' and individualization cf. above, n. 120 (diptych examples); on the association between differentiation and 'centering' cf. above, n. 58.